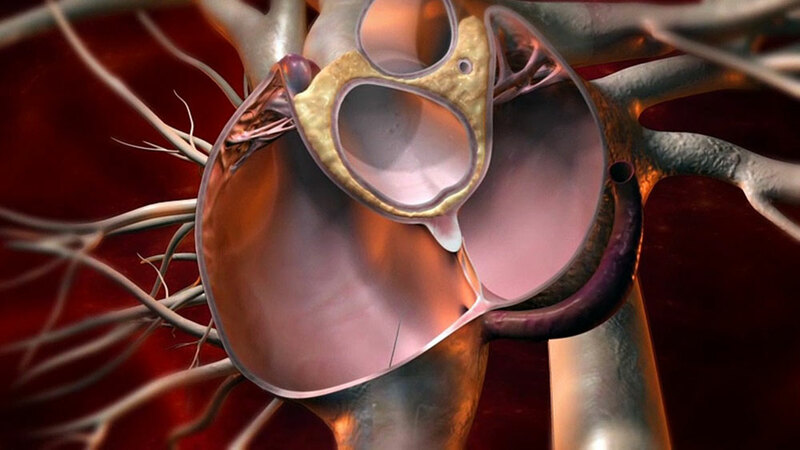 Patent Foramen Ovale (PFO) occurs in 20-25% of the general population. Most people with PFO are not symptomatic, and problems ordinarily arise only when the blood-flow’s directionality between the chambers is from the right atrium to the left atrium, a condition known as right to left shunting (RLS). Such right-to-left atrial shunting across the “open door” of the septum premium leads to low arterial O2 tension, promoting the occurrence of thromboembolic events and consequently the risk of ischemic strokes. In the last two decades numerous studies found a high prevalence of PFO in Obstructive Sleep Apnea (OSA) patients. In the first attempt to check for such correlation, Shanoudy and colleagues1 examined 48 OSA patients (mean age 57 ± 12.3 years) and 24 healthy controls (mean age 65 ± 9.5 years) and found that the prevalence of PFO (detected by means of contrast transesophageal echocardiography) was 4 times higher in patients with OSA (69% vs 17%; p < 0.0001). To determine the potential contribution of RLS, the researchers systematically measured O2 desaturation following the performance of Valsalva maneuver. They found that the drop in SaO2 was significantly higher in patients with both OSA and PFO, supporting the hypothesis of RLS as the underlying contributor for the observed OSA-PFO interaction. Since this original study, many others have replicated the observed high occurrence of RLS in OSA patients2-5, establishing the strong association between the two pathologies. Scientists attribute this strong association to the bidirectional pathophysiological effects between PFO and OSA; on one hand the arterial desaturation associated with RLS may play a role in the development of sleep apnea, as the short hypoxemic events following RLS aggravate the already disturbed central breathing regulation in OSA. On the other hand, OSA can make PFO more symptomatic: The rising arterial pressure of carbon dioxide (PCO2) in the context of apneas induces breathing efforts against the closed glottis, which briefly elevates right atrial pressure above left atrial pressure and leads to shunting of de-oxygenated blood to the systemic side in cases of a PFO. In support of the hypothesis that PFO may exacerbate hypoxemia and unfavorably affect physiologic sleep parameters, significant improvements of OSA symptoms were reported after PFO closure. Rimoldi and colleagues6 looked at 40 newly diagnosed OSA patients, out of which 14 had PFO and underwent initial device closure. During follow-up, apnea–hypopnea index (AHI) decreased from 38.6±16.0 to 30.4±16.1 events per hour in the PFO closure group (p = 0.0034), while not changing in the no-PFO group. This AHI reduction was accompanied by a mitigated oxygen de-saturation index (ODI), a nocturnal systemic blood pressure reduction of 5 mm Hg, and lowered pulmonary pressure values with enhanced left ventricular diastolic function. These results support the above suggested mechanism by showing a normalization of the estimated pulmonary pressure in response to PFO closure, together with augmented diastolic function of the left ventricle and reduced nocturnal systolic blood pressure. Interestingly, some attempts to study the opposite effects of the two pathologies on each other have also been made, revealing beneficial affects of OSA treatment (by means of continuous positive airway pressure) on RLS severeness7-8, further supporting the bidirectional pathophysiology. Shanoudy, H., Soliman, A., Raggi, P., Liu, J. W., Russell, D. C., & Jarmukli, N. F. (1998). Prevalence of patent foramen ovale and its contribution to hypoxemia in patients with obstructive sleep apnea. Chest, 113(1), 91-96. Beelke, M., Angeli, S., del Sette, M., de Carli, F., Canovaro, P., Nobili, L., & Ferrillo, F. (2002). Obstructive sleep apnea can be provocative for right-to-left shunting through a patent foramen ovale. Sleep, 25(8), 21-27. Guchlerner, M., Kardos, P., Liss-Koch, E., Franke, J., Wunderlich, N., Bertog, S., & Sievert, H. (2012). PFO and right-to-left shunting in patients with obstructive sleep apnea. Journal of Clinical Sleep Medicine, 8(04), 375-380. Shaikh, Z. F., Jaye, J., Ward, N., Malhotra, A., de Villa, M., Polkey, M. I., ... & Morrell, M. J. (2013). Patent foramen ovale in severe obstructive sleep apnea: clinical features and effects of closure. Chest, 143(1), 56-63. Mojadidi, M. K., Bokhoor, P. I., Gevorgyan, R., Noureddin, N., MacLellan, W. C., Wen, E., ... & Tobis, J. M. (2015). Sleep apnea in patients with and without a right-to-left shunt. Journal of Clinical Sleep Medicine, 11(11), 1299-1304. Rimoldi, S. F., Ott, S. R., Rexhaj, E., Von Arx, R., de Marchi, S. F., Brenner, R., ... & Seiler, C. (2015). Effect of patent foramen ovale closure on obstructive sleep apnea. Journal of the American College of Cardiology, 65(20), 2257-2258. Pinet, C., & Orehek, J. (2005). CPAP suppression of awake right-to-left shunting through patent foramen ovale in a patient with obstructive sleep apnoea. Thorax, 60(10), 880-881. Beelke, M. E. (2017). CPAP treatment promotes the closure of a patent foramen ovale in subjects with obstructive sleep apnea syndrome–Results from a pilot study. SM J Neurol Disord Stroke, 3(1), 1015.